Sky One seem to have had issues the last couple of days with their graphics playout - each time the 'next' caption appears towards the end of a programme, the screen goes black. Why oh why oh why is Sky 2 still a thing? Presumably, for SOCI (Share of commercial impacts) - broadcasters like to use their smaller channels to help boost their overall share. Plus it's useful for stuff like series link. If I'm recording 3 things at once (on Tivo) plus something else I want to record is on Sky1 but it gets a repeat a day later on Sky2, then series link will just record the Sky2 airing instead of giving me the clash error. I've just scheduled a recording on Sky 2 because the original airing on Sky 1 and Sky 1 +1 both clash with other things, and I only have a single feed. With increasing levels of viewing via on demand services such as catch up and box sets, the need for channels like Sky 2 isn't what it used to be. I also noticed that the ECPs have a transparent square covering over the middle of the screen. Challenge are currently showing an hour of Teleshopping. I cannot recall a Sky owned channel ever showing teleshopping before, happy to be proved wrong though. Sky Sports used to show Teleshopping when their channels weren’t broadcasting 24 hours a day. Challenge used to show travel based Teleshopping when it was on Analogue. When I mean that I don’t mean TV Travel Shop, it was a feature that used to be broadcast between 5am and 6am. I recorded Russell Howard from Sky Two this week, it was followed by Teleshopping. Sky One introduced a new Christmas ident this year. It takes a step further than its regular idents with a vast landscape made up of Sky One logos. Video available on Presentation Archive. 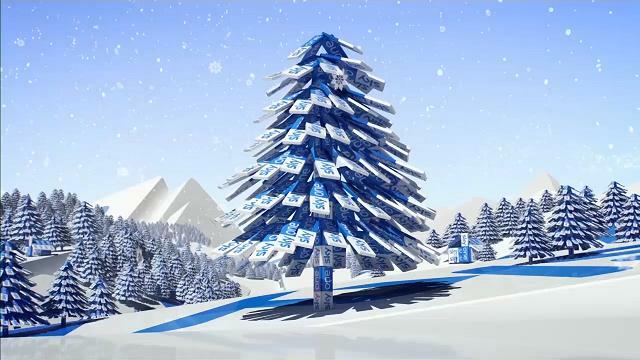 That is gorgeous and possibly the best new Ident this Christmas. From what started as a little naff and restrictive this Ident package has flourished. 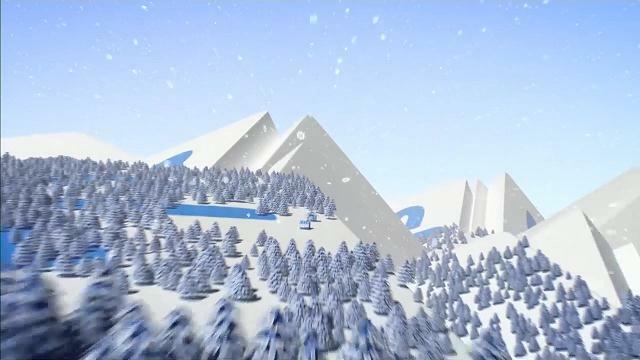 The attention to detail on that Christmas ident is amazing from starting quite standard against the blue to expanding out revealing the logo mountains and trees. 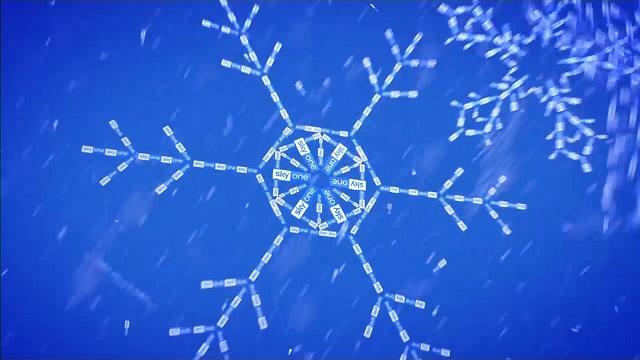 Because of the detail in what you can see, you then presume that every tree and snowflake is made of sky one logos. I can’t quite tell (when viewing on my phone) if the sleigh is being pulled by the logos or not. Gorgeous soundtrack too. BBC One take note. That is actually lovely! I echo what fanoftv said.